The HP Reverb VR headset made its first appearance during the HP-centric Reinvent event, and it's coming this spring. HP took to HP Reinvent, the company's global partner event, to unveil a selection of new offerings. Among them was the upcoming HP Reverb Virtual Reality headset - Professional Edition. The upcoming HP Reverb VR headset weighs 1.1 pounds and is "ultra-immersive," with special redesigned optics to help viewers reach the visual "sweet spot," as the company refers to it. 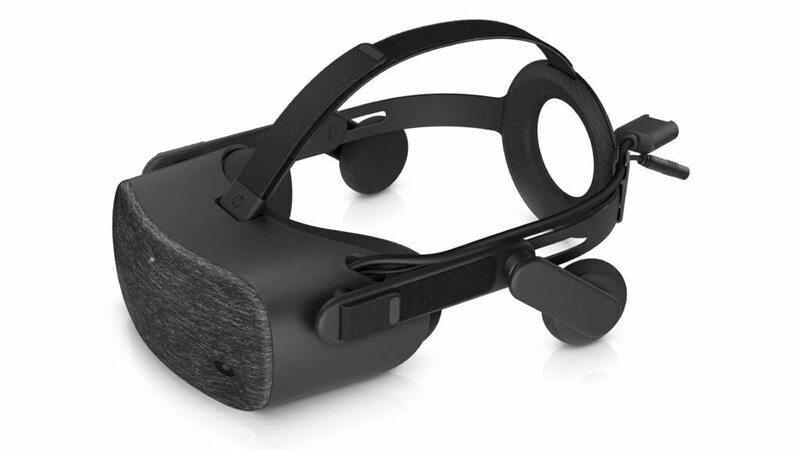 It's being added to HP's VR product portfolio with panels that measure 2160 x 2160 per eye, with double the resolution and a 114-degree field of view. It also includes integrated Bluetooth and pre-paired motion controllers in addition to Windows Mixed Reality and Steam VR support. The unit will also include integrated headphones with spatial audio and smart assistant-compatible microphones to up the immersion factor. Both the HP Reverb Professional and Consumer Editions will run $649 and $599 respectively, and are projected to launch in late April. If you're looking for a new VR headset, one of these might just fit the bill nicely, though they're still on the pricier side. If that doesn't much matter, they could be intriguing purchases. Are you in the market for a new VR headset from a different manufacturer than Oculus or Vive? Let us know what you're thinking in the comments below. VR is an exciting prospect (we have an entire show about it here at Shacknews) so we want to hear your thoughts.